If you ask nicely, and promise to leave directly afterwards, admission is not required to smash your pennies. Machine is located on the far side of the gift shop, near the elevator. Go past the gift shop to find the elevator on the right. 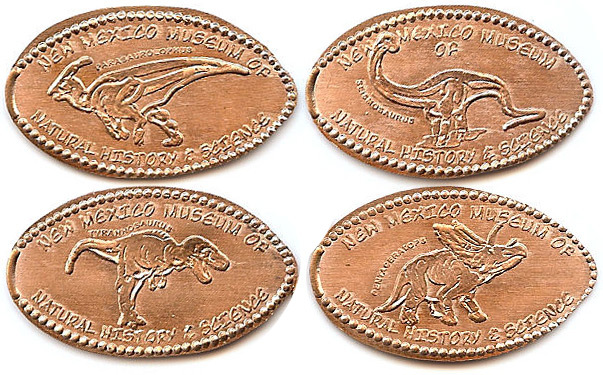 There is a set of retired pennies that have dino s as the die but are completly different. thegillion added New Mexico Museum of Natural History to system.